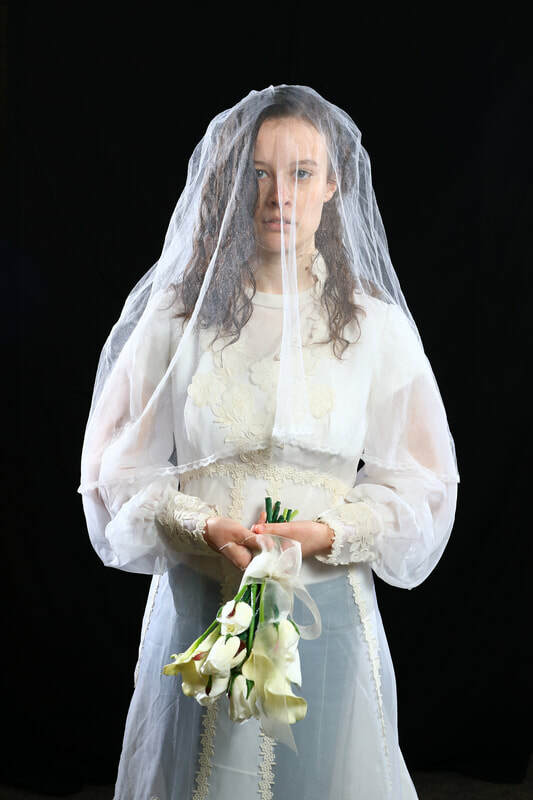 Click here for scenes from The Drowning Girls in Festival 2018. In this dark comedy, Bessie, Alice, and Margaret have two things in common: they are married to George Joseph Smith, and they are dead. Surfacing from the bathtubs they were drowned in, the three breathless brides gather evidence against their womanizing, murderous husband by reliving the shocking events leading up to their deaths. Recommended for ages 12 and up. With Demi-Lee Bainbridge, Audra Gray*, Frances Loiselle.